Present state: The platform is extant although its north end is buried under a ramp giving public access to the line. The lower quadrant signal at the south end of the platform also survives. Initially Hemel Hempsted trains did not serve Harpenden as a north facing curve in to the Midland main line took the trains to Luton. From July 1888 trains were rerouted via a new south facing curve into a new short bay platform set into the down platform at Harpenden, a special booking office was also provided. The bay platform remained in use until closure of the Hemel Hempsted line in 1947. After closure the bay was filled in. 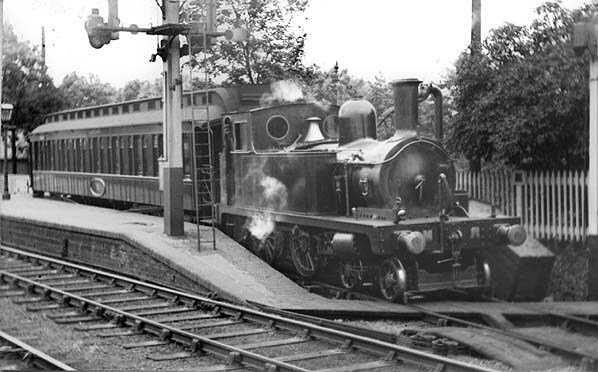 Harpenden was known as Harpenden Central between 1950 and 1966. Goods services were withdrawn from the station on 5th October 1964 a few months after the Hemel Hempsted branch lost its goods service to although a private siding remained in use after that date. Other web sites: Friends of the Nickey Line footpath and cycleway. Includes history of the line and maps of the current footpath.The Nickey Line - The Harpenden to Hemel Hempstead Railway. Web site with history of the line and pictures. Plus details of how to obtain the Nickey Line DVD. Nickey Line - a video tour of the Nickey line today lasting over 1 hour. Lost lines - Photographic tour of the Nickey line in 1990. 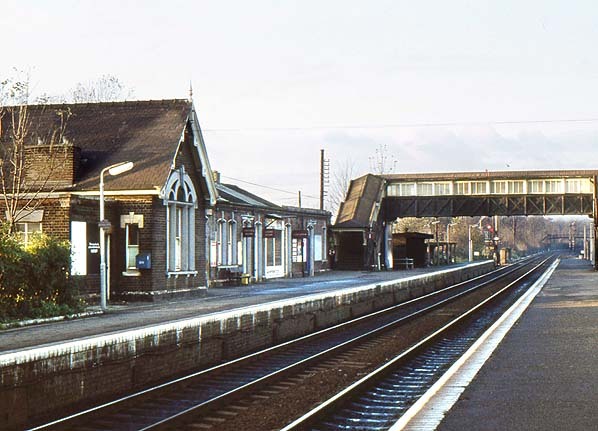 Harpenden Station looking north in November 1977. The bay platform was at the north end of the 'down' platform where the bicycle sheds are in this picture. 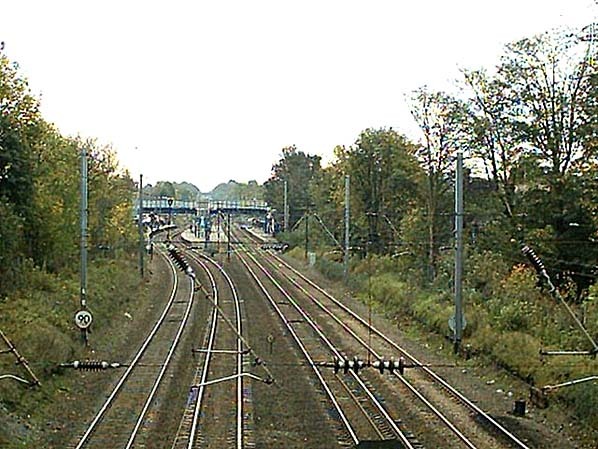 Looking south towards Harpenden Station in November 2005. The bay platform was on the right. The site of Harpenden junction in March 1990. 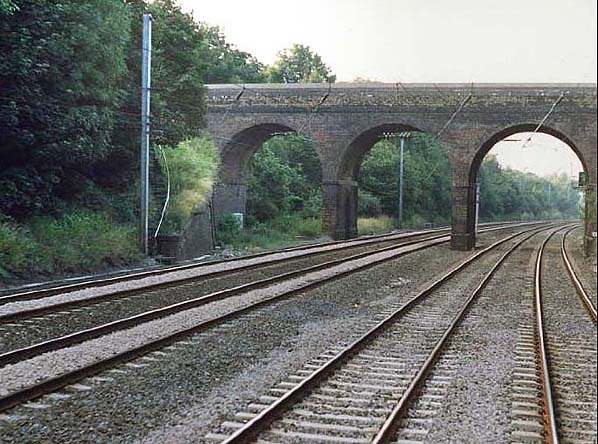 The Hemel Hempsted line went though the arch on the left. 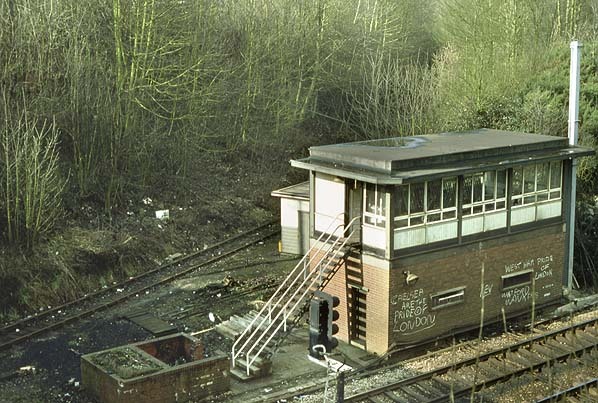 The signalbox was on the far side of the bridge.